HEIHEI staffers sporting plaid and mixed-print streetwear styles while out and about on the Harajuku street. 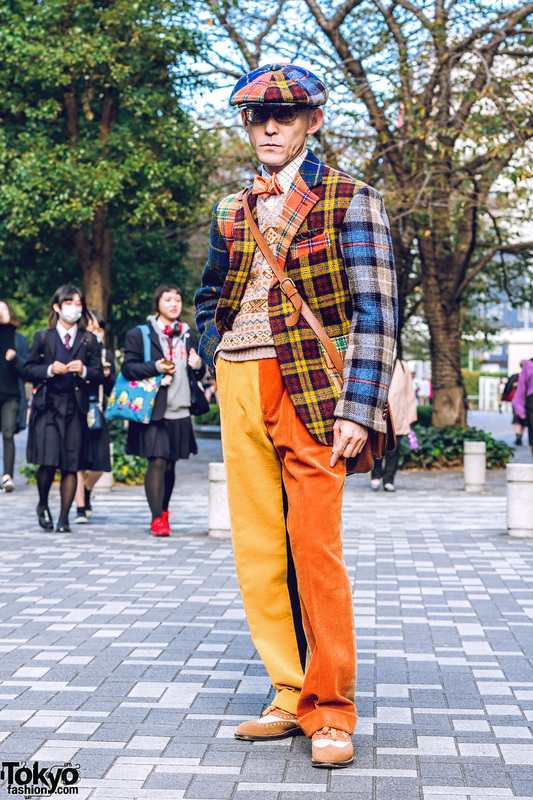 Kinji Shimokitazawa staffer dressed in an all red plaid ensemble while out and about on the street. Harajuku girl in chic plaid fashion with printed long sleeve shirt, plaid ruffle skirt, white platform boots, a fuzzy sling bag, a pastel pink ruffle handbag, and a plaid beret with a veil.